New research published in Lancet Oncology has shown that many patients receiving chemotherapy following surgery for bowel cancer may only need three months treatment rather than the six months currently given. 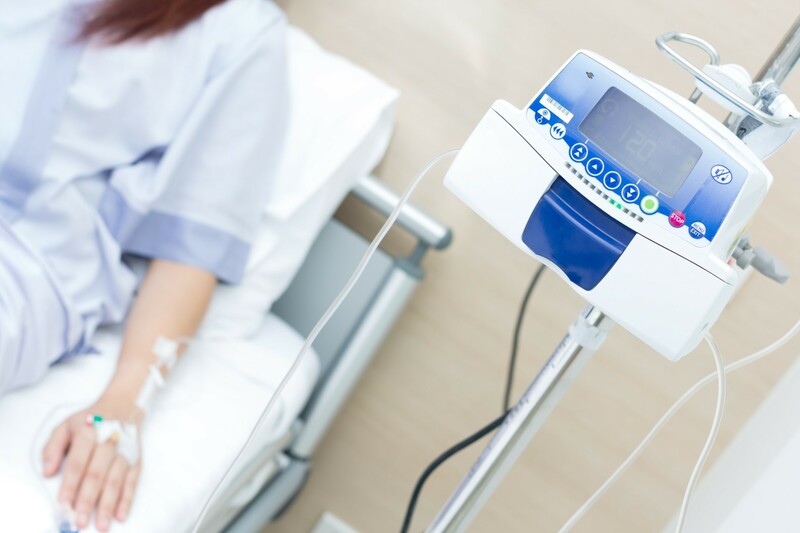 An international clinical trial, funded by an NIHR and MRC partnership, has evaluated the effectiveness of a three-month course of adjuvant oxaliplatin/fluoropyrimidine combination chemotherapy for bowel cancer versus the standard six-month treatment. One of the main side effects of oxaliplatin chemotherapy is nerve damage affecting the hands and feet (peripheral neuropathy) which can be long-lasting and result in worse quality of life. The SCOT study showed three months chemotherapy results in less peripheral neuropathy. The SCOT study, led by the Cancer Research UK Clinical Trials Unit in Glasgow, recruited 6,088 patients with high-risk stage 2 or stage 3 bowel cancer from 244 centres across Europe, Australia and New Zealand. They received either a three or six month course of chemotherapy and were followed up for a minimum of three years. After three years, 76.7% of patients who received treatment over three months were disease free compared to 77.1% of patients treated over six months. Patients treated over three months had fewer side effects and reported a better quality of life as well as reduced peripheral neuropathy. Deborah Alsina MBE, Chief Executive of Bowel Cancer UK and Beating Bowel Cancer, says: “This trial is so important because it is potentially practice changing. We hear every day from bowel cancer patients about the tough side effects of chemotherapy. This trial shows that for a group of patients with stage 2 and stage 3 bowel cancer that three rather than six months of chemotherapy has almost the same benefit. If this is incorporated into standard practice it would mean that people could finish their treatment sooner, avoid those debilitating often long term side effects and therefore enjoy a better quality of life in the future. This is positive news for patients."